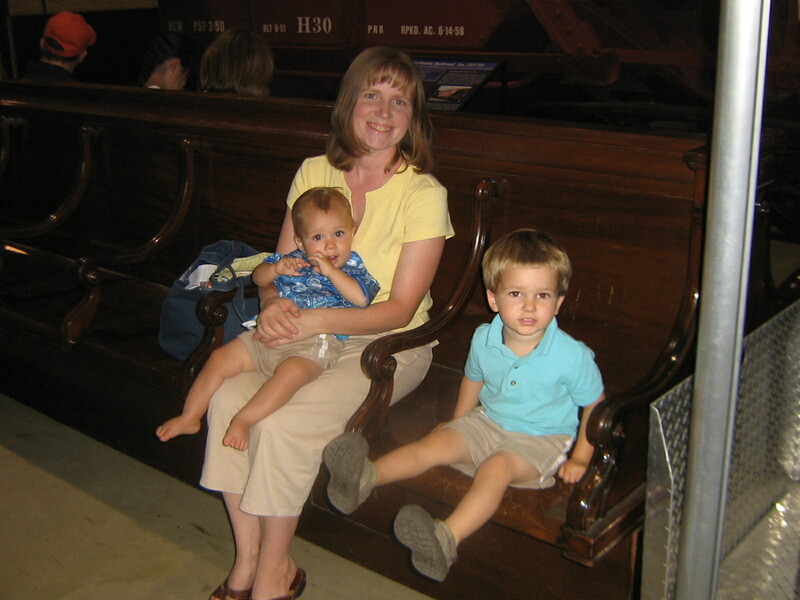 Our two train stops on vacation were the Choo Choo Barn and the Railroad Museum. 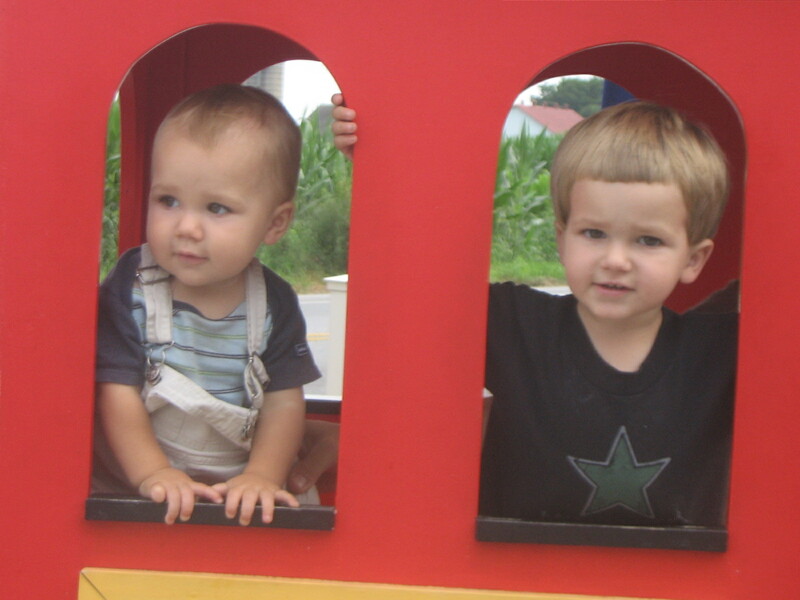 They are both located in Strasburg, PA. We went to the Choo Choo Barn on our first day of vacation. 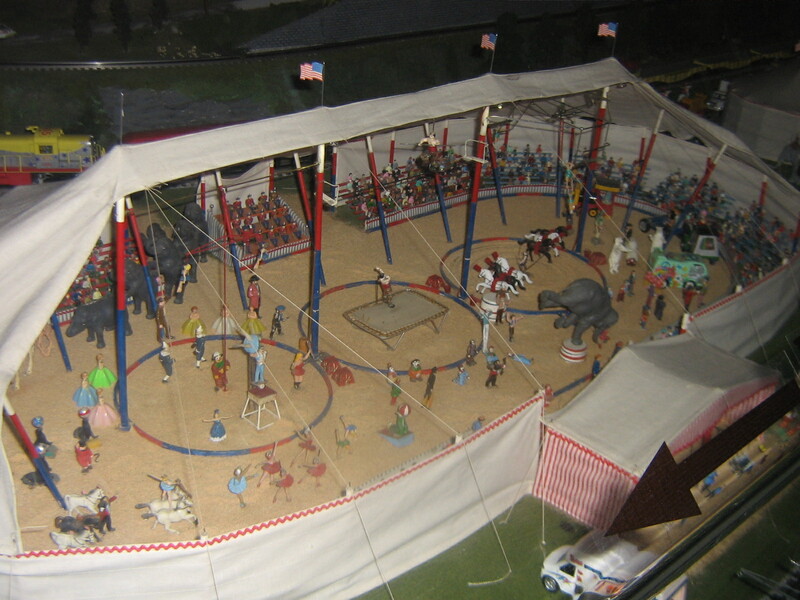 We spent about 45 minutes walking around the miniature world that they have created. It is amazing to see all of the details that they put into this train display. My favorite part is when you hear the fire siren. One of the houses is on fire! A fire engine comes out of the fire station and drives to the house. Firefighters emerge from the fire engine. One climbs a ladder and starts using an axe on the roof. Another fire fighter aims a hose at the fire and water shoots out. The last fire fighter emerges from the house carrying a person. The fire is put out, the fire fighters return to the engine and the engine returns to the station. 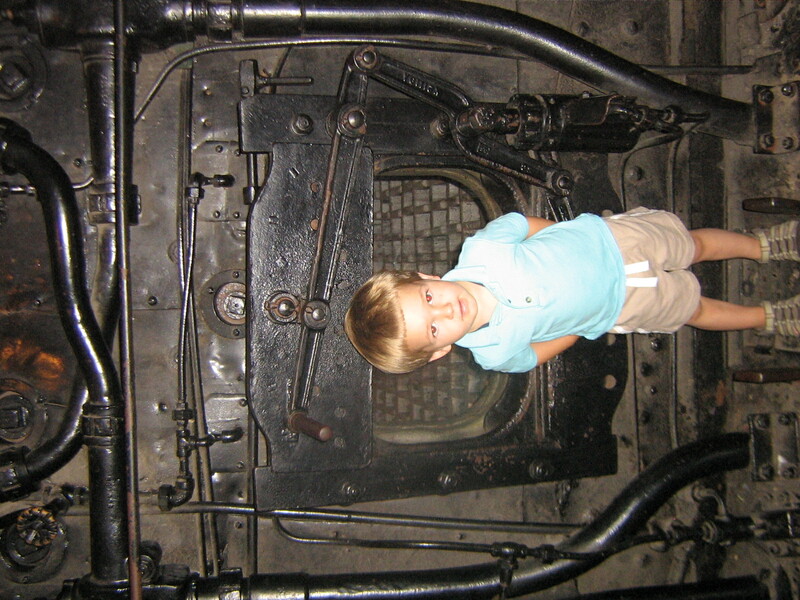 Our visit to the Railroad Museum took up most of our day on Thursday (of our vacation.) The building is filled with trains from days gone by. 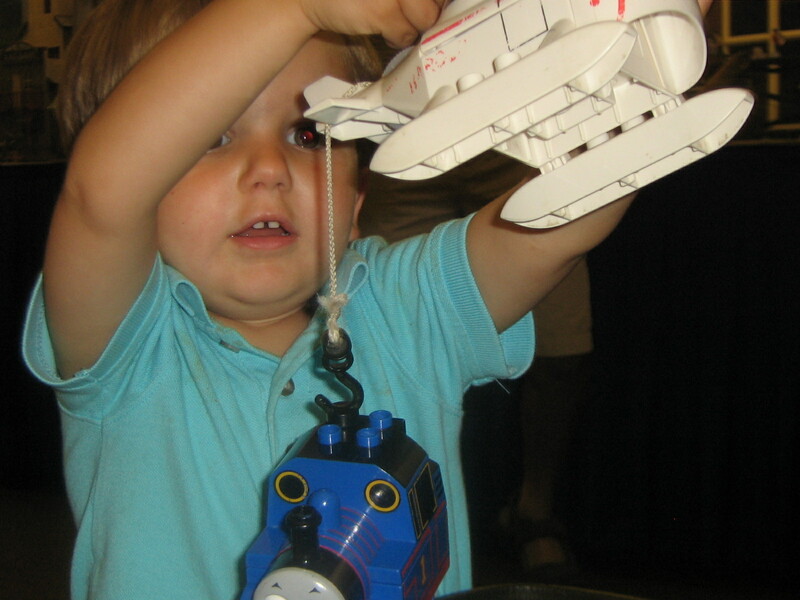 Calvin was especially fond of the train that resembled Emily from the Thomas the Train series. 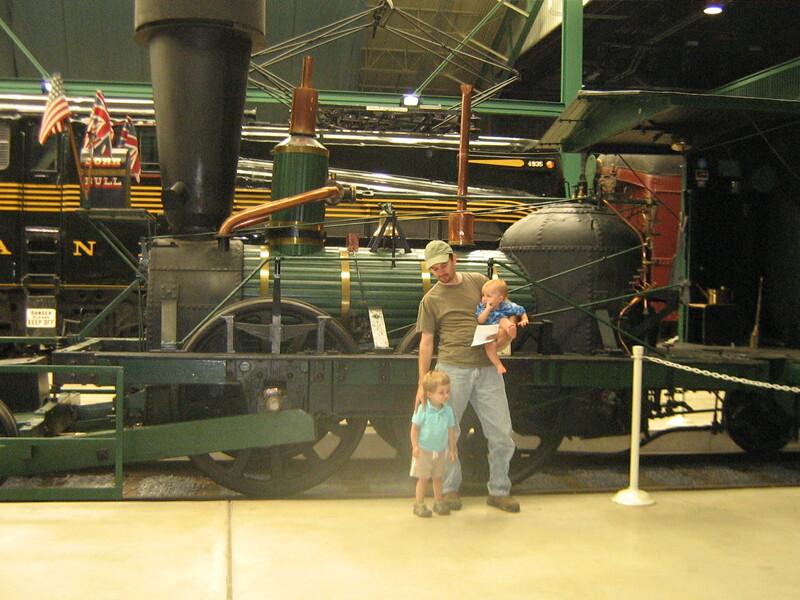 It was a green steam engine with big wheels. 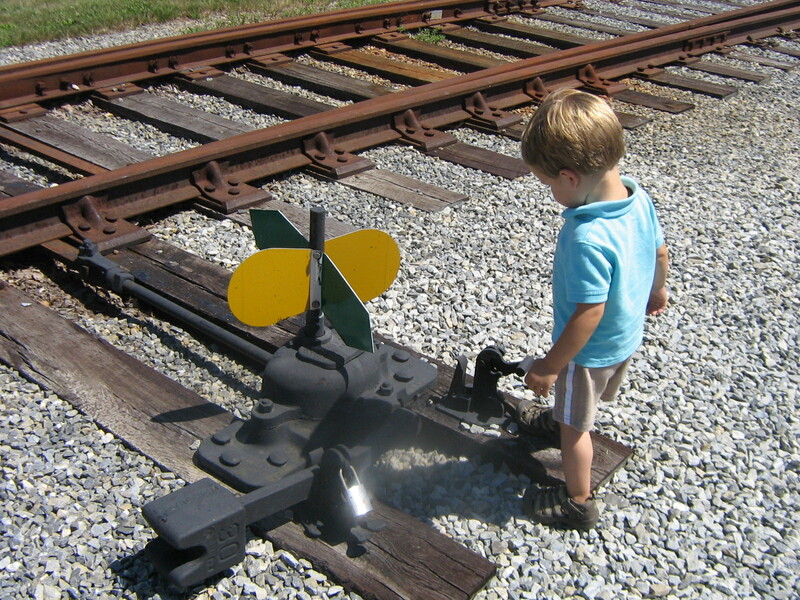 After checking out the many trains inside we headed to the train yard to see even more trains. The highlight of this section for me was seeing the turn table. 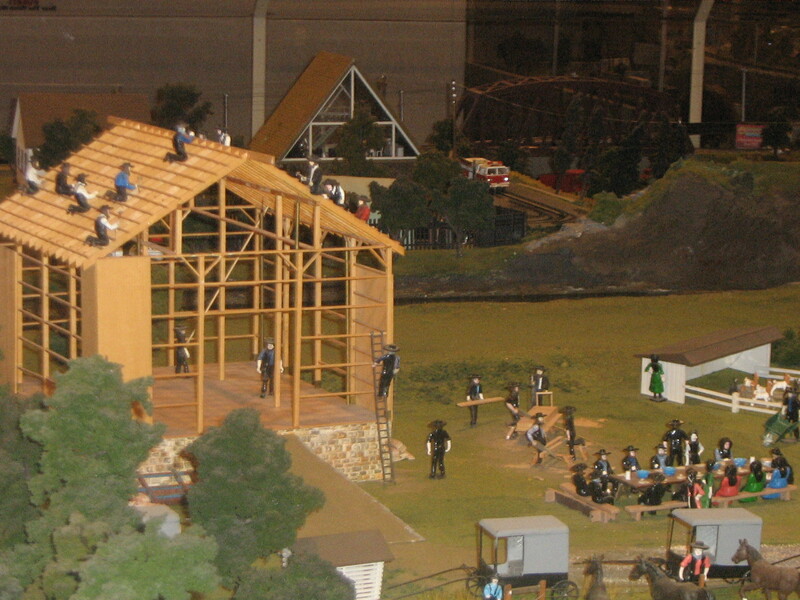 The rest of the hours that the museum was open was spent in the educational section. Calvin, Dean and Wesley played with the six train tables. 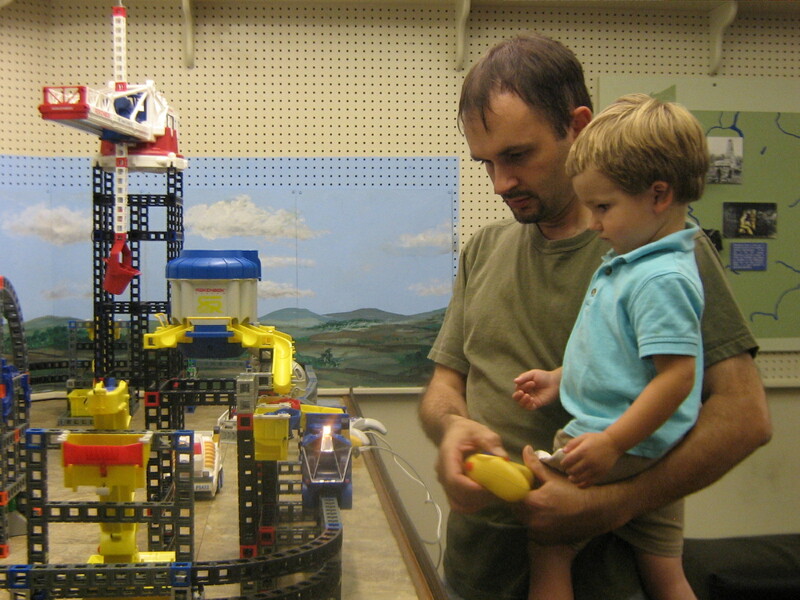 Calvin’s favorite was the big LEGO version that had Thomas trains to build. 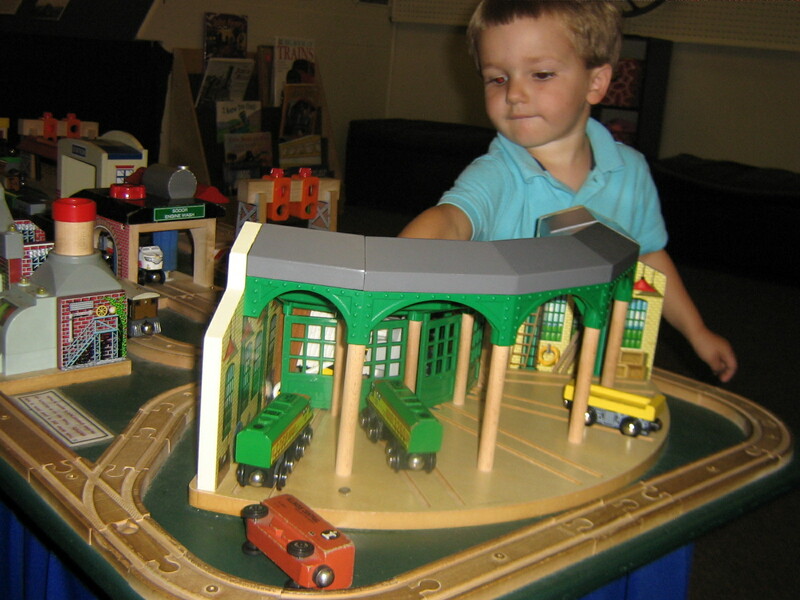 Dean enjoyed playing with the set that had remote controls to move the trains. Wesley liked playing with any pieces that he found on the floor. I sat back and enjoyed watching my boys play with the trains.